Flask. Globular body with vertical to slightly diagonal ribbing. 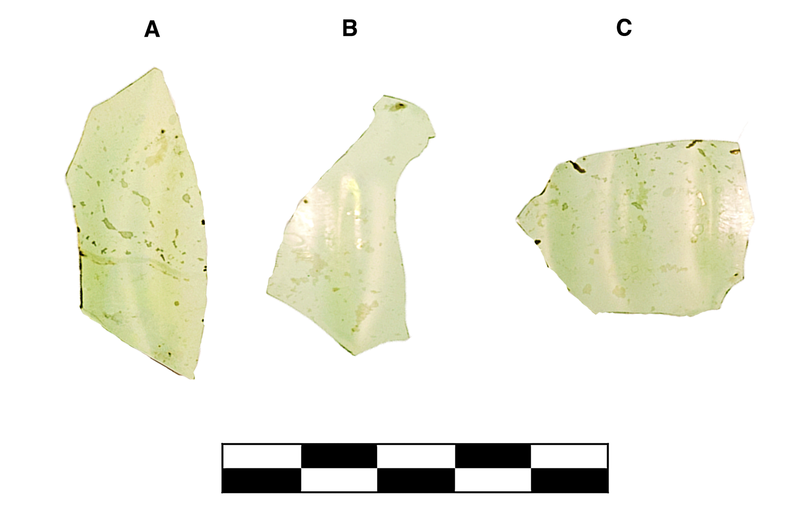 Greenish colorless to light green (PMS 7485 C). Transparent. Scattered pinprick and small, spherical bubbles otherwise find material. Three nonjoining fragments (a/b/c) preserve small part of body (ca. 10%). Slight, sparse dulling; scattered feather cracking; specks of discoloration across surface.